People often tell me how lovely my eyelashes are and ask me what I use on them. The conversation usually starts with "are they your own lashes?!" followed by "ooh, what do you use to get them like that?" I'm very fortunate that they are long with quite a bit of natural lift and I love my long lashes, I cannot lie. Let's start with a couple of products I use to help condition my lashes and brows. I've had the Revitalash for a little while now and used it consistently when I first got it. Like our hair our eyelashes can show signs of stress and abuse. Abuse from the daily applications of mascara, glue from false lash application [never used it myself] and the constant rubbing with eye makeup remover. They take a battering and can become dry and brittle. This serum helps to nourish and protect against damage, and adds moisture and shine which in turn can help with growth. I apply in the evening on clean, dry lashes. 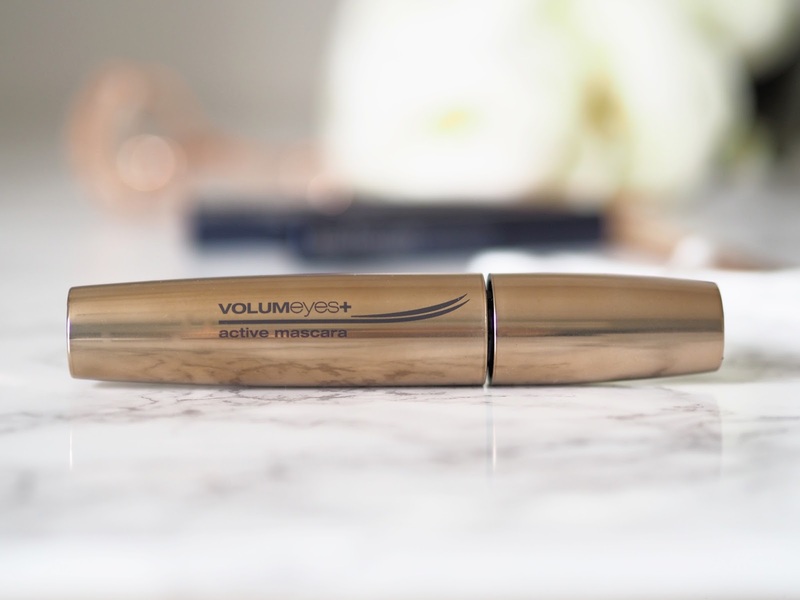 You only need one brush stroke across the top line of the lashes and it's done in seconds. I know some people don't rate these type of products and feel they are a waste of money but I can honestly say my already long lashes looked so much healthier and longer after using this. The Revitabrow product I've only recently started using so can't really give a true verdict on this one yet. As I've gotten older the speed at which my hair grows has slowed down greatly and my brows are the same. I hardly need to pluck any away these days. I would love for mine to be a teeny bit fuller [like they used to be] so am hoping this will do the trick and make the sparse areas look a bit fuller. Again easy to apply with the wand and takes no time at all. 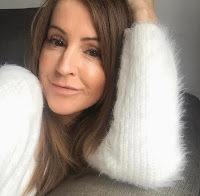 These products are pretty expensive and whilst I've said I'm impressed with the lash product [verdict still out on the brow one] everyone is different and may get different results. This isn't sponsored in any way, I just wanted to let you know how I'm finding them. Moving on to equipment [of sorts]. Eyelash curlers and tweezers to be precise. I've included brow tweezers because the brows frame the face and our eyes would look a bit odd without them! 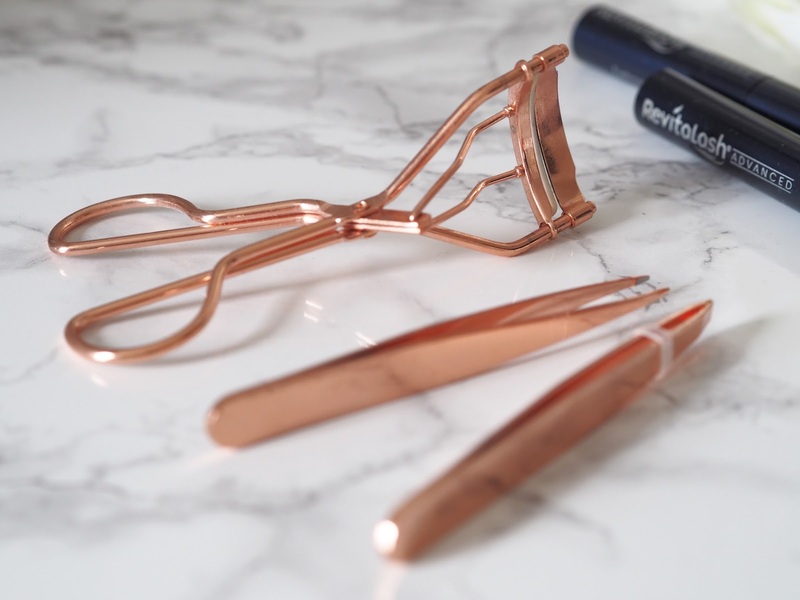 I've had expensive curlers and tweezers in the past, in fact I paid around £20 for some Tweezerman tweezers a few months ago now, but compared to these gorgeous rose gold ones they are shite!! Waste of money. The curlers and tweezers are from Primark and are the best I have EVER used, and of course cheap as chips. I don't curl my lashes often at all, occasionally when I go out of an evening I'll do it, that's if I can be bothered. When I do bother these are great and give my lashes even more curl and lift. As I said earlier my brows don't sprout like they used to so I don't have to pluck that often, it's usually just stragglers I need to tend to, I'll have HD brows done at my local salon but not as often as most people. These tweezers keep them looking tip top and honestly I could not live without them. I also do Nick's with them, he'll kill me for saying that! Brows are big business right now with pencils, gels, wax, and all sorts, so make sure you add these to your collection of 'stuff'. If I remember rightly they were a pound each I think. I actually bought 3 or 4 lots of the curlers because they're so good, gave one to my mum and sister and kept the others for myself, although not sure why, I only have one lot of eyes!!! Mascara. I'm very, very fussy about what mascara I use and for literally years and years have used Lancome Definicils, this one here. It didn't matter that the price went up year upon year, I would pay it regardless, I think it's now touching the £25 mark! I would occasionally sway and be tempted by the latest new release only to be disappointed because nothing could live up to the definicils. That was until I found KIKO. A few years ago I was visiting Malaga city and went into their newly opened store. They had a sale on so I picked up a few bits [it was the first time I'd heard of this brand, they've since become huge] and those bits included the volume eyes active+ mascara. I tried it the minute I got back to the hotel and I've not stopped using since. Bye bye costly Lancome mascara. Don't get me wrong, I still love my definicils but when you can get an amazing mascara for a fraction of the price why wouldn't you? I use it EVERY. SINGLE. DAY. I love the shape of the wand, it gets all the tiny lashes and right into the corner of the eye. It adds so much length and volume and I find it doesn't clog, or flake and comes off really easy at the end of the day. The ladies in store have tried to get me to try the other mascaras but I won't budge from this one!! 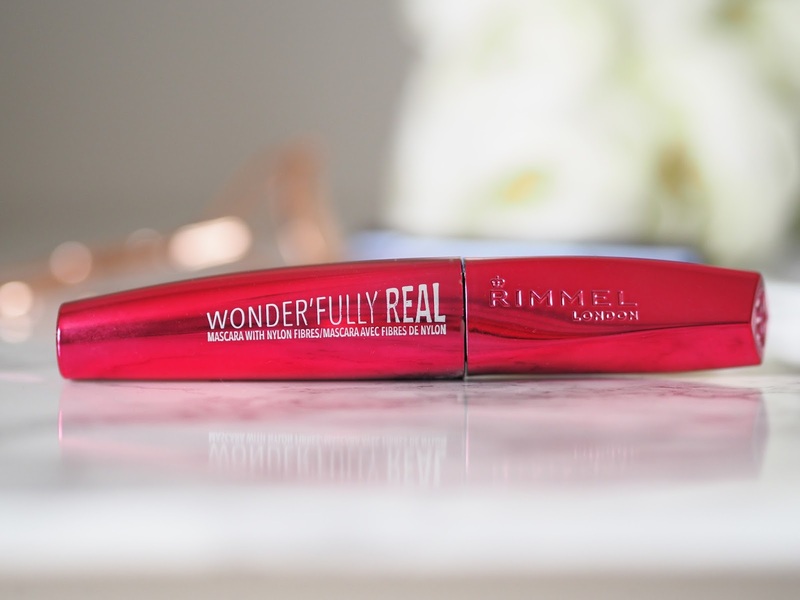 ALERT: My fave mascara is currently half price and selling at just £3.90. GO GO GO. Link here. I'll be popping into store to stock up that's for sure. I wanted to throw this mascara into the mix too because I use it occasionally and really like it. The Wonderfully Real mascara from Rimmel was a freebie when I purchased some bits in Superdrug just before Christmas. I was going to give it straight to Emily, wasn't even going to try it, but something made me open it and give it a whirl. So glad I did. This adds the drama for sure and gives you those in your face lashes. I use this on top of my Kiko mascara if I want the wow factor, like on a night out or something to give that false lash effect. There are issues with this mascara though and are the reasons why I wouldn't use it all the time. If you have any oil residue on your lids or under your brow bone it will transfer and leave black dots on your skin which is not the look I'm going for, it's also messy to remove at the end of the night, taking a few soaked cotton pads to remove every last bit. It doesn't stop me using it though because I really do like the effect it gives and I will think about repurchasing it once this ones gone. It's currently on the 3for2 offer at Boots here. So there you have it, all about my eyes. It's the basics, not including eyeshadow or liner as I don't wear them every day but you at least know what mascara I currently use and it's at a bargain price right now so you've nothing to loose. Give it a try.